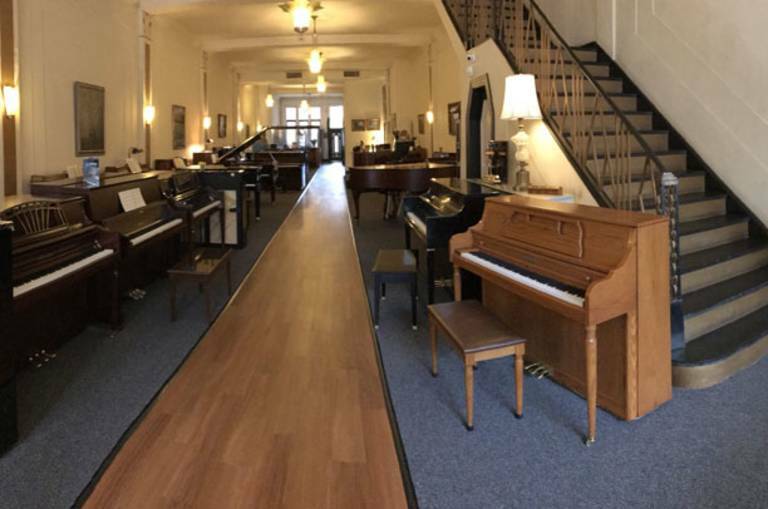 Altenburg Piano House, founded in 1847, is the oldest family-run piano house in the United States. Through all the years that have passed, one thing that has stayed constant is our passion for great pianos. Altenburg Piano House can trace its origins to the Otto Altenburg Piano Co., founded in 1847 in Germany. The Altenburgs immigrated to New York City in 1855 and opened a piano factory. In 1906 the family moved to Elizabeth, New Jersey and they’ve been here ever since. The first Elizabeth showroom opened in 1906 on East Jersey Street in Elizabeth. In 1926 they moved up the street to 1150 East Jersey Street to a custom built, art-deco piano showroom.